At Sarrail, Castillo & Hall, LLP, we are passionate about protecting the seniors in our community from abuse by those engaged to care for them.  Our Burlingame-based abuse attorneys, headed by James Sarrail and assisted by Ivanka Ackbari, have handled many of these very sensitive elder abuse cases. Abuse of the elderly can take many forms. Unexplained bruising, injuries or bedsores may indicate physical abuse. Emotional abuse tends to be harder to identify and challenging to prove, but the effect of emotional abuse on an elderly person can be more severe than physical abuse. An onset of depression, becoming withdrawn or forgetful may indicate emotional abuse or neglect. While elderly people also suffer from some of these symptoms naturally, the effects can be exacerbated by abuse. The law is very clear on the liability of nursing homes and companies employing healthcare workers who commit abuse against vulnerable elderly people. We know how difficult it can be to bring a claim for elder abuse. Very often, the elderly person hesitates to provide any factual information and a concerned relative may feel that he or she is proceeding on nothing more than a hunch. The personal injury lawyers in Burlingame at Sarrail, Castillo & Hall, LLP listen to the details of every case and ask the proper questions to establish that a claim exists. Where appropriate, we arrange to visit the elderly person at home or in the hospital to gather evidence or to see for ourselves the extent of the injuries. Financial elder abuse has become more prevalent in recent years, and we have litigated an increasing number of cases for clients in this area. We understand the need to act quickly and sensitively in all cases of elder abuse to ensure that the mistreatment is stopped and that the elderly person can regain quality of life and peace of mind. We see elderly clients and their relatives at our offices and in their homes, whichever is most convenient. Our first consultation is free so that we can establish the facts of the case and advise you on the strength of your claim. Call 650-513-8899 or contact us online to arrange an appointment if you have concerns about your elderly friend or relative. Our lawyers speak French, Spanish, Russian and Czech.